We have been entering our wines in the Decanter Wine Awards for years now and every year we enjoy it just a little more than the last. This year four of our wines received medals. 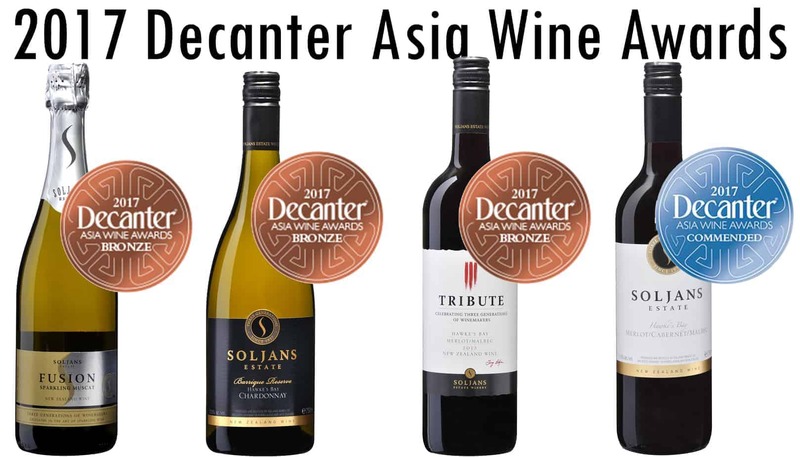 Our Fusion Sparkling Muscat, Barrique Reserve Chardonnay and our Tribute Merlot | Malbec all came home with Bronze Medals and our Merlot | Cabernet | Malbec brought home a Commendation Medal! We are proud of how our wines did this year round and look forward to the rest of awards season! As always our wine is available for purchase in our online store and here in at our cellar door in Kumeu.